Yes, always looking back can actually be self-defeating but only if you do not progress and use those memories to become bigger and better than what you were originally. For musicians especially, I think it is great to re-visit some of your earlier music and remember what it was that influenced you originally and how you took those influences to improve on your sound and songwriting. I am not advocating dragging out the old hits to produce a cash cow for retirement and the new release from Djam Karet is a perfect example. ‘Swamp of Dreams’ is a collection of older tunes that were originally only available as individual tracks on different compilation CDs and fund raiser albums, released between 1990 and 2006. 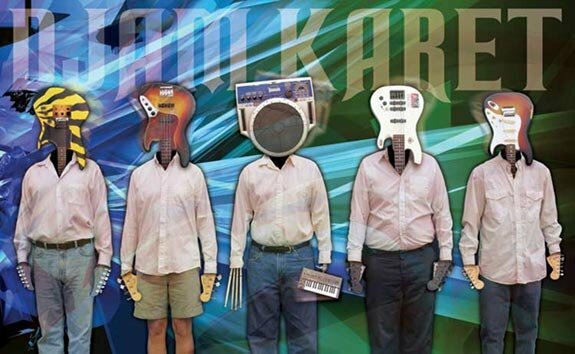 With this album, their 18th full-length release, Djam Karet are making this long-lost music available again to a much wider audience. 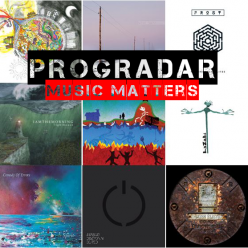 The six tracks are sequenced chronologically with each song taking you further back in time. Re-mastered with greater clarity and increased dynamic range, it retains all that is good about the music of Djam Karet, a band who have been making music since 1984. The first track on this release, Voodoo Chases The Muse is a funky, psychedelic fun-fest that is a musical acid trip for the mind. The driving rhythm section warps your psyche while the excellent, sharp-edged guitar work really strikes a chord. The weird 70’s edge is kept together by some distinctly freaky keyboards and you are left feeling like you are caught in someone’s feverish imagined version of what 70’s music is all about. Stoner Rock? No….. Totally Stoned Rock would be more like it…. The next step back in time is The Shattering Sky, now the band openly state that they make their music with no regard to potential radio play or commercial success and this track is a true testament to that ideal. It starts quite interesting, like a sci-fi soundtrack before some fuzzy guitar blurs the edges. Urgent and edgy, as if it is just about to flee, it gets right into the little nooks and crannys of the deepest parts of your mind. A musical mind control drug maybe as it looms ominously in your consciousness. The second part of the track sees some incredibly flexible bass playing, backed energetic drums which all adds to the psychological drama. Using our musical TARDIS, we edge back through the years with the equally creepy Pentimento, a track with an utterly otherworldy feel to it. If you told me that this was a song that was intended for use on the soundtrack for 2001 : A Space Odussey, I wouldn’t be surprised. 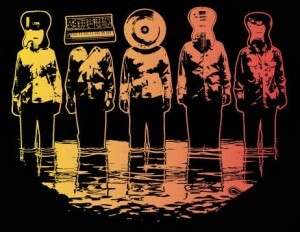 It sits in the back of your mind, influencing your thoughts with tribal-like percussion and convoluted guitars. You never quite feel comfortable with the music, it is like something darkly dangerous, like a fix you know you shouldn’t take but need nonetheless. Let’s just say it is very ‘out there’, the undulating beat and heavy, portentous rhythm are quite hypnotic and trance-like in their execution. Heading further back through the eons we arrive at New Light On The Dark Age, which begins with a slight note of alien dissonance. Another mysterious journey to the deepest recesses of your inner soul. This is a slow burning, deliberate voyage with sequencer driven rhythms and leaves you holding your breath, your heart hammering in your chest as you wonder what awaits around the next corner. With an atmosphere vaguely reminiscent of Krautrock and Stoner Rock, it opens up into a much more composed mind-set, as if the destination is more paradise than hell-hole. With the musical treadmill still in reverse Inventions of the Monsters begins with a feel of being lost in a prehistoric jungle, surrounded by fabulous, incredible creatures that you only thought existed in your mind. It is a hesitant, ominous atmosphere, as if you are the alien and your surroundings are foreign to you. You feel at a disadvantage, uncertain as the brooding music washes over you. As you step cautiously through the menacing synthesised sounds, a huge sense of foreboding descends upon you. I let out a nervous laugh when the sound of cat emerges from the speakers and it doesn’t sound like a happy feline either. This song is spine chillingly spooky in deliciously eerie manner, don’t turn the lights out whatever you do, I did warn you…..
Our travails in the H.G Wells time machine reach their end with the title track Swamp of Dreams and it feels like a nostalgic track, mysterious, supernatural and uncanny. I’m sure this so-called ‘Time Machine’ has dropped us bang in the middle of an episode of Patrick McGoohan’s ‘The Prisoner’, are we now Number 6 ? Unique and quite single minded, it really does have a feel of something totally experimental before it opens up into a funky 80’s style instrumental with jangling guitars, spaced-out synths and one of the best basslines you’ll hear in many a year. It has a more sparse, natural feel to it than the previous tracks, perhaps due to it being the earliest track on the album and yet it is still distinctly Djam Karet with the wailing guitar solo and analog synthesisers and is a fine way to close this retrospective. 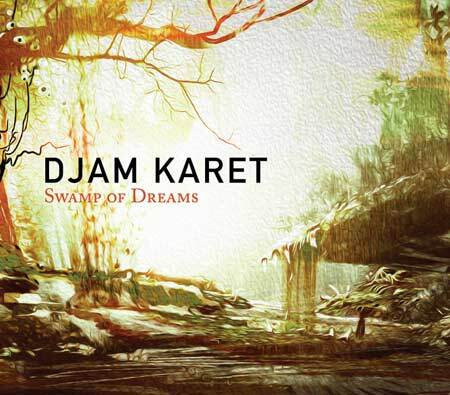 I have been a fan of Djam Karet for a while now, their deeply felt commitment and uncompromising vision do not make for music that will appeal to everyone and, to be honest, they don’t care. Their critical acclaim and long time cult following prefer this ‘in your face’ attitude and I’d include myself in that. 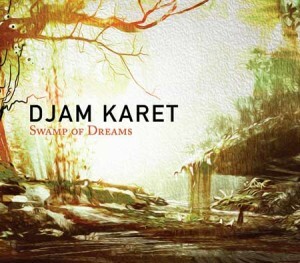 What they do is make brilliant, spaced-out, psychedelic music that could only come from Djam Karet and ‘Swamp of Dreams’ is a perfect example of their skill and flair. Take the inflexible and obstinate route and you may find that you’ll love it too!